So after trying to make a guide for the 3:1 pitch wires for the mini albums and seeing how much work it was going to be and thinking "Hey I have a perfectly good machine that can cut those suckers" I made a file in Make The Cut for more mini albums but also did one for Post It Note Holders. 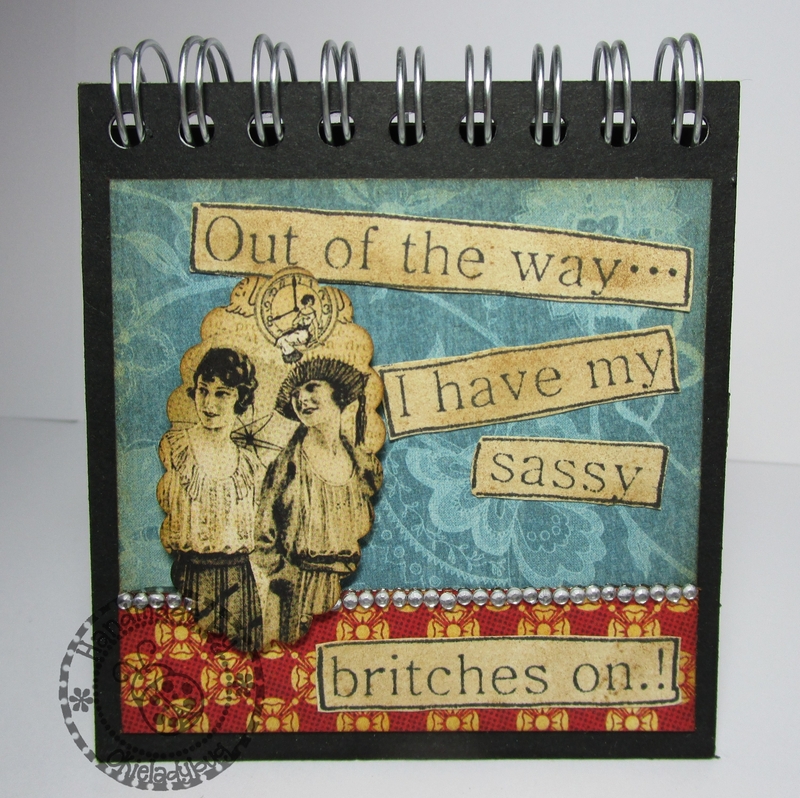 I got 3 Post It Note holders done this weekend using Graphic 45 Fashionista and the Dylusions stamp set "Say It How It Is", which I also found at Zipp Outlet for $2. When I found the stamp set I wasn't sure what I would use the for but I wasn't going to leave them in the store for that price. Here are the Post It Note holders I got done and my daughter has already claimed one of them. 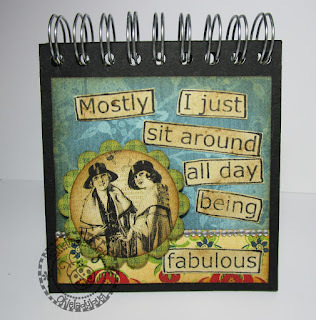 I will be making more of these since I really like them and I have more stamps in the set to use. These are adorable. These would make great gifts. i knew you would come up with something 'sassy'. these are great. you should build your stash of these for christmas gifts, or 'sell'. now be on the look out for post its. i bought a bunch bulk for a song. Those are wonderful! I love the sayings. Okie, you are so talented, you should do videos for Youtube with intructions. The post it note holders and albums are wonderful! These would make great little gifts. Those books are awesome! You are making good use of your bargain finds, sure could use one of those outlets here. The perfect stamps for your project. You have done a masterful pairing of phrases and pictures. 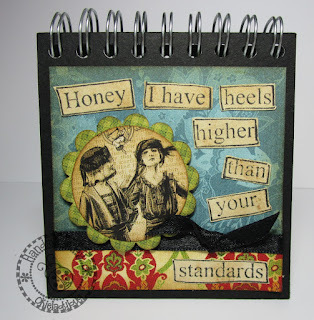 I love the one with the saying about the high heels! Super cute! Love the post it note holders. Wish I had a Zipp Outlet where I live. Love this stamp set too. These are fabulous! What a great idea. Great projects. Love the black backgrounds and sentiments. OMGoodness, these are totally adorable. 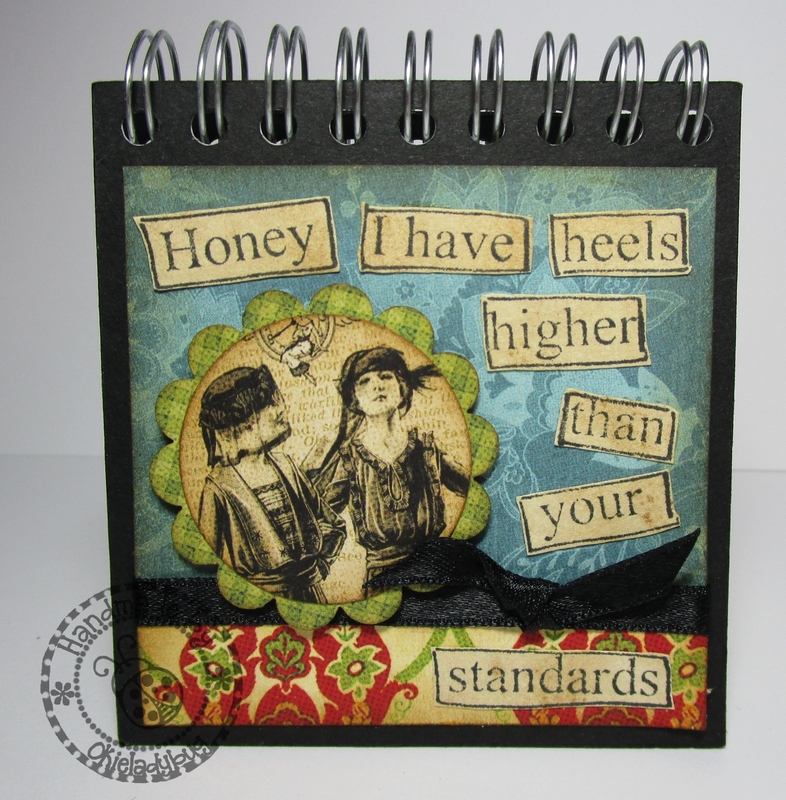 What a fabulous stamp set that it ... the sentiments compliment the images perfectly and make for some really fun and sassy little post-it books. LOVE THEM! Love these! You are awesome Okie! Tfs! 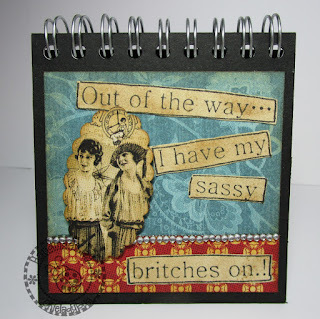 I love the sassy britches sentiment! Alll of them are just flaqwless. 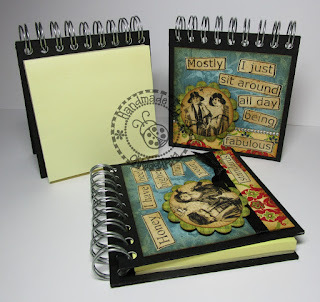 I really like the way you put together beautiful papers, found treasures and the practical. Post-it's are one thing that I put in my purse, to remind me of what I was going to get at the store. You have inspired me! Absolutely adorable....your daughter took just one? You are on a creative role right now. Very nice ! I especially love the top one! Wish I had a Zipp Outlet ! Love seeing all your creations ! What a fabulous fun idea. I would love to make some for Christmas gift for coworkers! Awesome!! !